★ MIMESIS - PSYCHEDELIC ART ★ FESTIVAL SETUP!! 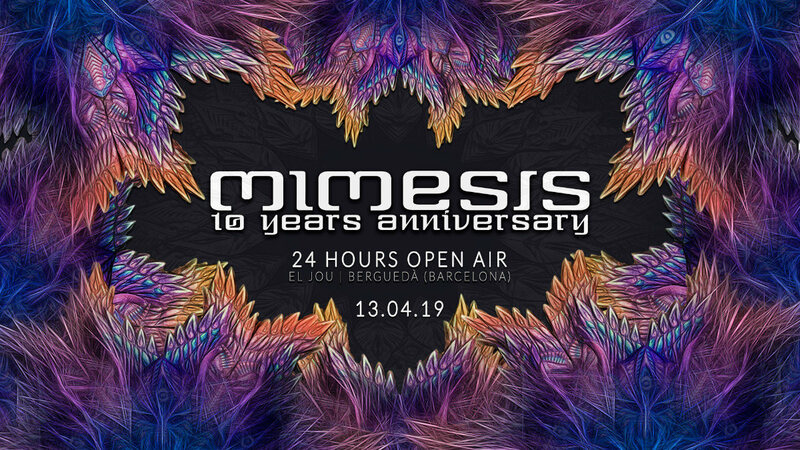 At 2009 a friends group passionated for Psytrance decided to create a collective, without any aspiration, simply to unite our artistic hobbies as DJ's, organizers and decorators. The chosen name was MIMESIS. Would be impossible to name each of you, but we want to thank everyone who helped us, supported us in any way, booked, attended one of our events... thanks to you we're living what used to be far and innocent dreams... cause if at 2009 someone told us that on 2019 we would've had gigs on more than 250 events, on more than 20 countries, on some of the most recognized festivals, making projects together with the best artists of the scene, organizing succesful monthly events (Mimesis CLUB) and bigger format open airs (Samhain i Solstice), and organitzing our first festival (Huéznar Festival)... We wouldn't have believed it! A gathering on a perfect location and with a decoration, visuals, sound and musical selection thought to last on the memory... so we invite you to join us on the event to stay tuned for news, and mark the date on your calendar: 13th April 2019! The event will happen at the football camp of El Jou, at the area of Hotel El Jou surrounded by a privileged natural landscape, 15km’s north from Berga (110km’s from Barcelona).